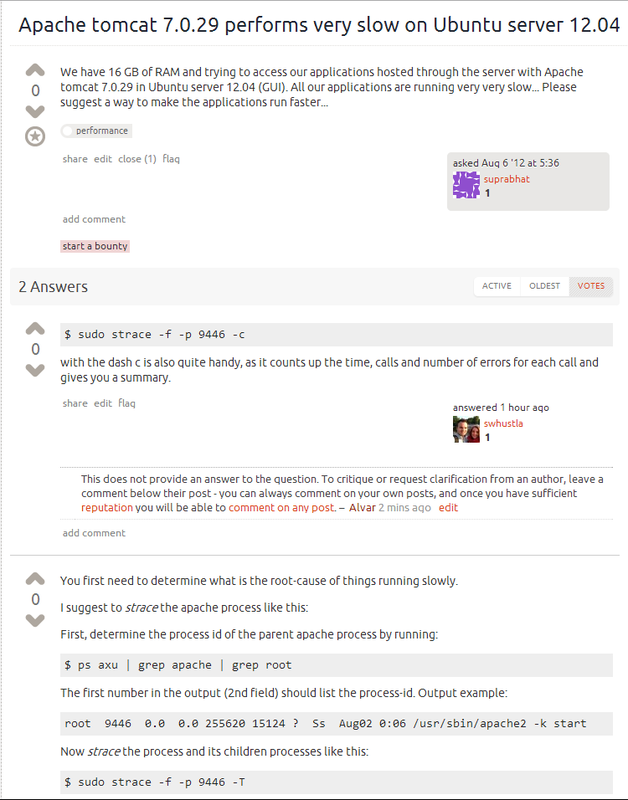 When reviewing low quality answers it would be useful to see the other answers to the question, so you know if an answer is a comment to another answer or a reply to the question. Like the answer below, it's a reply to the answer posted, since it's a suggestion to add -c also and doesn't provide a complete answer on it's own. I know it's easy to just open a new tab and view the question, but it's much faster to just scroll down and see that it's a reply to another answer. What you suggest is already possible. Open the question in a new tab and you can see all the answers given. I often do this to gain a fuller understanding of what I'm looking at.